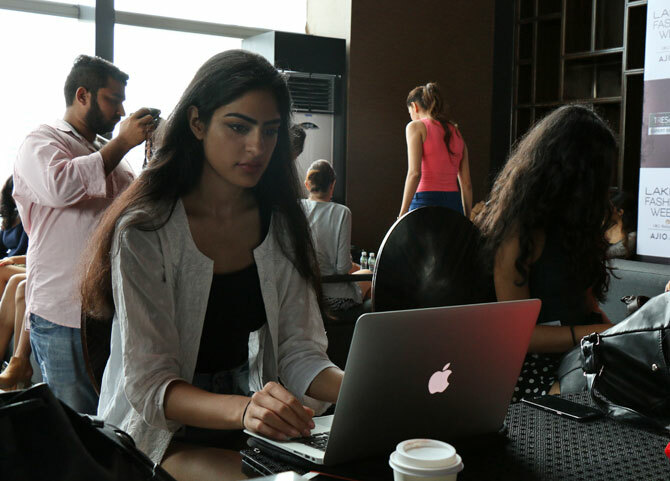 What brings young girls from across India and the world to audition for Lakme Fashion Week every year? Rediff.com's Rajesh Karkera finds out. 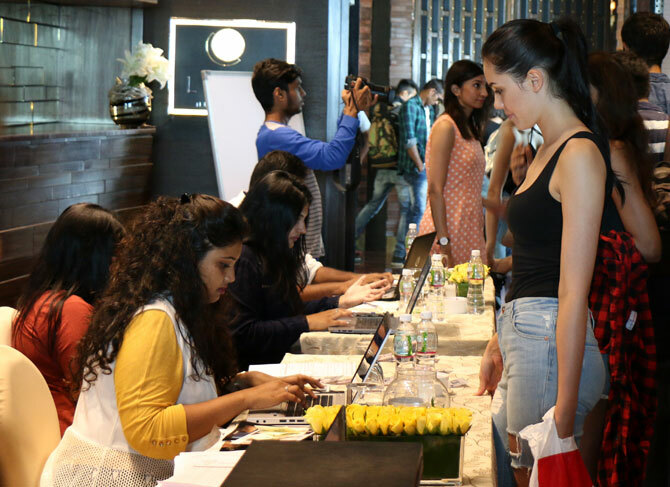 Hundreds of aspiring youngsters with dreams in their eyes marched inside the St Regis hotel, south Mumbai, to audition for the biggest model hunt, the Lakme Fashion Week model auditions. For more than 25 years now, walking the LFW ramp, which brings the best of designers, supermodels and celebrities under one roof, has been a dream for aspiring models. Of the 154 aspirants who auditioned this year, only four -- that's right 4 -- were picked to walk for the Lakme Winter/Festive 2017. 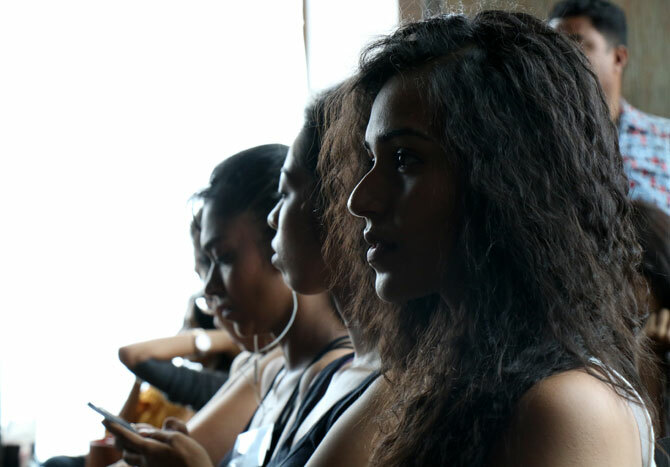 Glimpses from the action behind-the-scenes at the model auditions. The registration desk is the busiest of counters. 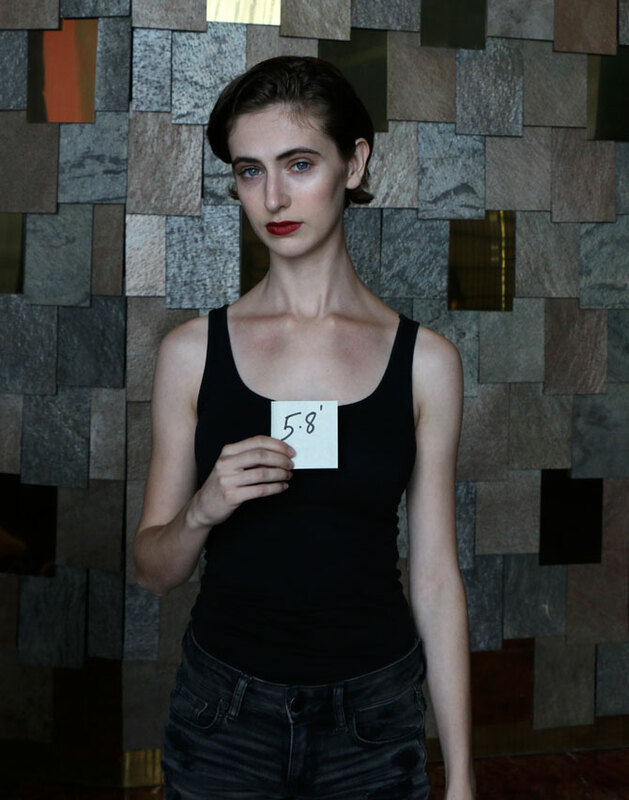 An aspiring model provides her details and collects her unique number before moving to the next stage. Karan from the LFW team has been assigned the task of measuring the height of the participants. BTW, the minimum requirement for girls is 5'7" this year. Victoria, 22, is from Canada. This is the first time she is visiting Mumbai and she's hopeful to make it through the auditions. Here she is seen getting her height measured. Standing tall at 5'8", Victoria is relieved she just about made it. As the registration process continues in full swing, models take a photo break. Some are nervous, some undeterred and focussed. This aspirant finds solace in her smartphone camera. Sana Balsari, 27, is also from Canada. A PhD in behavioural science from the University of Cambridge in the UK, she's been been in Mumbai for three months now. "I kind of lead a dual life," she says. "I'm also working as a model doing commercial and print work. So I wanted to try and be a part of LFW." Sana comes to Mumbai every year to visit her grandparents. For some, the wait can be long and tiring. The models walk up the stairs to the main hall where the auditions will begin. The aspirants line-up. Model number 1 is Anjali Lama, who was the first to reach the venue followed by Tamanna Sharma, 22, a graduate from Delhi. Tamanna, who was employed as a crew member with Emirates, resigned to follow her dream and try modelling. It is noon and the girls are tired, but they don't let it show. For first timers, it will be an experience to treasure. 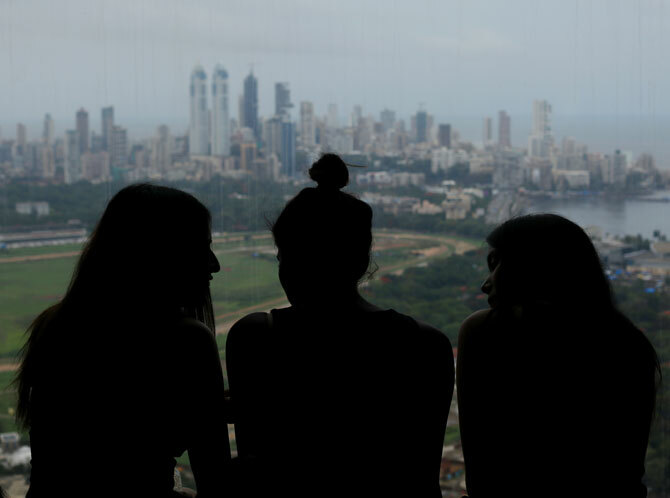 Simran Mahendrawal, 21, from Mussourie has been living in Mumbai for a year-and-a-half. Having walked for Amazon Fashion Week and Dubai Week, she wants to try her luck at Lakme. "I'm not nervous" she says. "I just believe in being confident. Whatever has to happen will happen." On the ramp, all you get is a few seconds to impress. Does she have it in her to be the next Lakme girl? Judges Manish Malhotra, Kriti Sanon and Lubna Adams watch each contestant closely. Not many know that Kriti started her career with Lakme. "It feels amazing to be sitting between Manish Malhotra and Lubna Adams and judging these beautiful girls." "Also, it is nostalgic to be back at Lakme Fashion Week where I started my modelling career and walked for around five seasons," the actress says. Roshmitha Harimurthy, Kiyara, Daman Brar and Nicole Padiwal will walk the ramp for Lakme Winter/Festive 2017. The winners with Kriti Sanon. 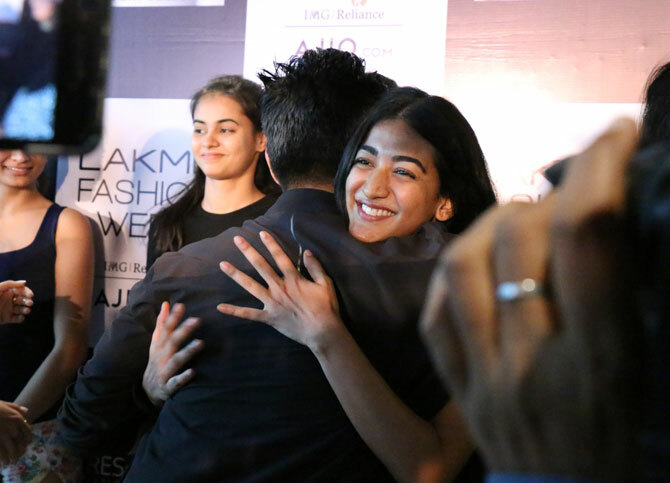 The struggle, the wait and hard work proved fruitful for some like Nicole Padiwal, who received warm, congratulatory hugs from Manish Malhotra. "From demure and confident to playful and elegant, a great model emotes and brings an outfit to life, giving my clients a glimpse of the 'Manish Malhotra woman'. I know the hard work and single-minded dedication that goes into building a career on the runway," he said. Congratulations, girls. Can't wait to see you all at the Lakme Winter/Festive 2017.